How stressed are you? Better yet, how often are you stressed? Or, how often are you not stressed out? If you’re stressed, you’re in good company. Nearly 80 percent of Americans report physical symptoms of stress, and nearly half admit to lying awake at night due to it. But why? Are our lives so busy and strained that stress is just a normal state of being? Or, could we actually be addicted to it? We talked to Christine Suffield, clinical supervisor at Sober College about stress addiction. Because, yes, it’s a real thing, and just like any addiction, the first step is awareness. 1. What is stress addiction? 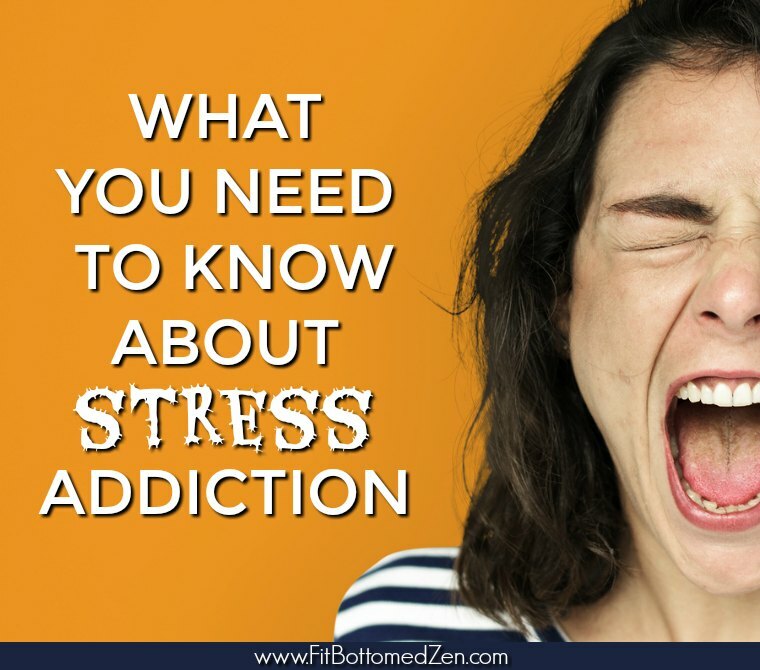 Stress Addiction, like any other addiction, is being addicted to a substance which, when used, alters one’s physiology as well as their mental state. Stress addicts are thought to be “addicted” to adrenaline. The body releases stress hormones, specifically cortisol, epinephrine and norepinephrine which causes the addict to feel “good” and has a secondary gain of being effective (meeting deadlines, increasing work pace, multi-tasking). In particular, Type “A” personalities —those who are high functioning go-getters —seem to have increased likelihood of becoming stress addicts, or stress “junkies.” This is how they manage to “do everything.” On the surface, this all sounds pretty harmless as neurotransmitters are naturally occurring; however, the problem for stress addicts is that they actually need to create the stress to set those neurotransmitters into motion. The body cannot function under this kind of stress for extended periods of time, nor was the body designed to maintain high levels of neurotransmitters being released too often. 2. What are the signs of stress addiction? Typical signs of stress addiction can be sleep disturbances, upset stomach, tiredness, moodiness, tearfulness — and mental health issues such as anxiety and depression. For anyone who has ever thought: “I’m the only one who can get this done,” “Everything will be ruined if I don’t do this or that,” and “if I am not productive, I am worthless or stagnant,” they are experiencing many of the tell-tale signs of a stress addiction. Additionally, from a biological standpoint, when one is experiencing elevated stress levels, a hormone known as neuropeptide Y (NPY) prevents your immune system from functioning properly, which can lead to frequent colds and viruses. 3. How common is stress addiction — and why do you think that is? Stress addiction presents itself in many ways. Many researchers identify that 40 percent of the adult population in the US suffers from some form of insomnia. Obesity, heart disease and depression are continuously on the rise as we become more stressed as a society in general. Most of the time, people believe they are simply doing what they need to do in order to manage their busy lives. Often, however, these beliefs are driven by fear, anxiety and the need for financial security. Occasionally being stressed out is normal and realistic. If you experience stress and it motivates you to do more, you may have crossed the line. 4. If someone suspects they’re addicted to stress, what should they do? There are many useful tools and techniques that can help someone who is addicted to stress. If you are experiencing a particularly stressful time and this is not the norm for you, then daily walking, regulated bedtimes and healthy sleep patterns can help. Yoga and other tools for mindfulness help the body to relax and to return to pre-aroused states. In fact, at Sober College, we work many of these mindfulness practices into the treatment of any addition. If yoga, meditation or more sleep aren’t possible for someone, they may consider checking in with their physician to determine if there are any other causes. As with all addictions, there can be a psychological component that may need to be addressed. 5. Is stress addiction preventable — if so, how? Stress itself is not preventable, but stress addiction is. It is very common for people who historically struggle with anxiety to become stress addicts in order to increase their sense of control over their lives. Unfortunately, this can result in increased stress, less sense of control and physical ailments that cause more distress. At a modern and holistic treatment center, such as Sober College, we provide individuals with real-life skills and knowledge that can help them recognize and manage potentially addictive stress patterns early on. Again, treating underlying medical or mental health issues, learning coping and relaxation techniques, and practicing mindfulness can all help prevent stress addiction. Since stress is inevitable, the goal mustn’t be to avoid it, but rather to learn healthy coping mechanisms to move past it and not thrive on it. 6. Anything else we should know about stress addiction? It is okay to push yourself sometimes to meet a deadline or get something important done; that is life in these busy times. However, by using the tools to decrease stress, manage stress and avoid some stress, one can probably balance themselves and not risk mental, psychological or emotional exhaustion which can often lead to medical conditions that are even more stress producing.